Owning a vehicle is not a luxury nowadays, but a necessity. In a place like Dubai, the daily commutes take place mostly in a motorized vehicle. It is also a place where luxury and exotic vehicles are large in numbers. In UAE, it is mandated by law that a vehicle owner must have motor insurance coverage. But in most cases, the customers do not know the intricacies that are associated with vehicle insurances. People regard it as just a requirement, and without proper guidance, they end up choosing something that is very cheap. Little do they know that there are consequences to the type of plan they choose and one only realizes this in the event of an accident. But then it might be too late. So let us help you choose the best insurance policy based on requirement and budget. As always, understanding the different types of insurance is the key to choosing smart. Third-party insurance: This type of insurance is can be defined as an insurance package that covers the bare minimum requirement. This plan covers for the injuries and damages that are inflicted to the other party. One must take note that this plan will not cover for the policy owner. The result is a very cheap and affordable plan. Comprehensive plan: If third-party coverage is the bare minimum, then a comprehensive plan is the highest level you can get in terms of coverage. This type of cover will provide financial help for you as well as the other party involved in case of an accident. Moreover, the coverage doesn’t stop there as comprehensive plans also cover for fire, theft, and personal accidents,etc. Getting yourself insured also comes with a bit of paperwork that you need to sort out. The first of which is the actual registration. For a normal insurance sign-up process in Dubai, the following documents are required. Copy of visa and passport photo page. An insurance plan will require you to pay a premium. However, not everyone is treated equally when it comes to insurance premiums. The amount you pay as premium changes on a variety of factors. Your age, experience and the types of coverages are a few factors that determine the overall premium price. Let us list out a few of the most used metrics to gauge premiums. Switching to a new company? Claim that bonus! If you are opting for a new insurance company from your current one, you can present a “no claims’ certificate to the new insurance provider to get discounts on the annual premium. If you wish to take your multi-utility vehicle to the sand dunes, beware of the fact that off-road coverage always comes as an extra in insurance policies. So if a breakdown or an accident were to happen off the road, you would be spending money out of your own pocket. Off-road coverage is highly recommended in case if you have bought your vehicle to do some off-roading. It can be a daunting experience when you are stranded on a roadside due to a flat tire, low fuel or any other unforeseen reasons. But did you know that you can call your insurance company to take care of things for you? Opt for emergency services to help you get out of tricky situations on the road. 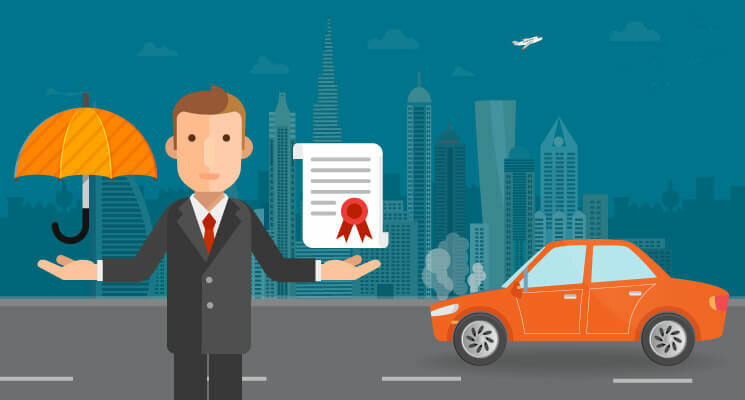 Getting car insurance in Dubai can be quite confusing because of the myriad of choices in both insurance providers as well as value added options. Therefore, it is easy to see why consumers select insurance plans that they do not need in the first place. The solution? Let us take care of things for you, and you can be on your way! We are a team of expert insurance brokers in UAE who are well versed in the field of insurance. We will help you choose the right kind of plan that is tailor-made to your requirements. We screen insurance plans from the plethora of Car insurance companies in Dubai and strive to give you the best coverage you need! Next story Workmen’s Compensation or Group Life: which to choose and why?